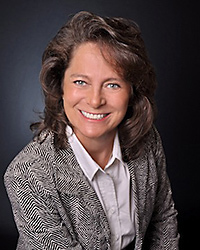 Judy McDonald is a real estate professional with over 20 years of experience directing major financial and operational projects as a CPA/financial analyst. During her corporate career, Judy relocated numerous times, and she intimately understands all aspects of the buying, selling, and relocation process. Judy’s people skills and energetic, can-do attitude combined with her extensive financial and project management skills help her clients attain their real estate goals and objectives.